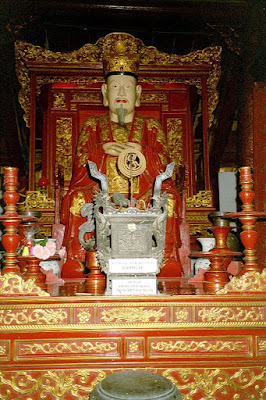 Maybe everyone knows 'Hanoi Temple of Literature'- Van Mieu Quoc Tu Giam - the first relic of Hanoi. It is said that 'Hanoi Temple of Literature' is one of the first universities in the world. Going to visit Hanoi except for Van Mieu, you will be deemed not to visit Hanoi. When you go to Hanoi Temple of Literature, you can explore the history and architecture of this monument. Van Mieu-Quoc Tu Giam has two main vestiges, there are: Literature worship Confucius and Chu Van An- Quoc Tu Giam career, who has many good quality of the Vietnamese education South and Quoc Tu Giam. Hanoi Temple of Literature is the first national university in Vietnam with more than 700 years of operation (1076-1802) that has trained thousands of talents for the country. 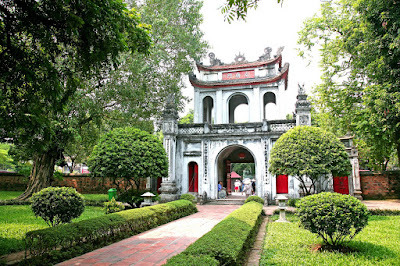 According to history, the Temple of Literature was built in May 10-1070 of the reign of King Ly Thanh Tong. 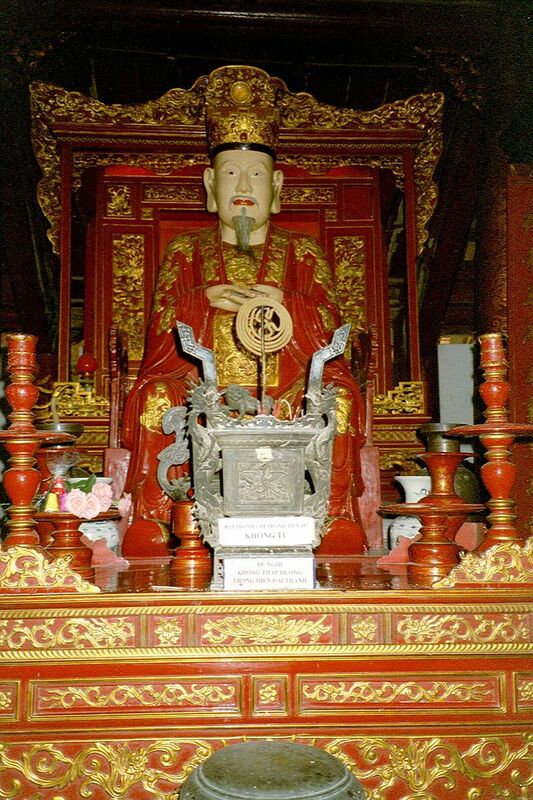 By 1076, King Ly Nhan Tong established Quoc Tu Giam, initially; it is the only place used for the prince and then expanding to receive students in the whole country. Can you explore at Temple of Literature? The temple is divided into five court yard, each with its own significance and history. The first courtyard stretches from the main gate to Dai Trung gate; the second stands out with Khue Van Cac pavilion. If you notice well, you will find the pavilion symbol on all street signs of Hanoi. The third courtyard is where doctor names was listed on a tombstone above tortoise backs. There are a total of 82 tombstones, with names and origins of 1307 doctors, corresponding to 82 examination courses from 1442 to 1779. If you visit the temple at the beginning of the year or in May when many important examinations take place, you will catch sights of numerous students who come and rub the tortoise head. Such an act is believed to bring them luck to pass the test. The fourth courtyard is dedicated for Confucius and his 72 honoured students, as well as Chu Van An- a famous teachers known for his devotion to teaching. This is also where local authorities choose to cherish brilliant students in Hanoi, like those with top entrance results to university or top graduation outcomes. The last and also furthest courtyard is Thai Hoc house, which used to be Quoc Tu Giam- the first university of Vietnam. Thai Hoc house holds a small collection of old time costumes for students and mandarins, as well as explaining the process of taking and passing the national examination. specially, if you are keen on architecture, Temple of literature has one of the most typical architecture style for centuries in Vietnam, composed of wood and tiles. Along the pass way is hundred-year-old trees that have witnessed ups and downs of history. 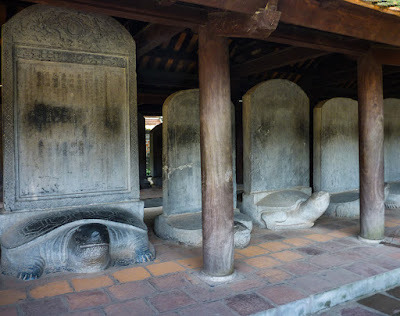 Being an ancient school of Thang Long and the first university in Vietnam, Temple of Literature is acknowledged as an ancient historical-cultural heritage which gives tourists deeper understanding about Hanoi's years of culture and tradition. Tourists should definitely add the Temple of Literature to their visiting list in Hanoi. It is included in a lot of Hanoi city tours as one of the main attractions in this bustling capital city.